The fundamental requirement, be it for any industry, is to access right information and tracking the data, communicating with clients specific to their needs, collaborating between employees and minimizing costs. Rightly, on similar grounds the Insurance industry is revamping itself with novel mobile applications to be on its toes to access everything on the go. With consumers becoming more dependent on their mobile devices, insurers must improve their channel strategies to fulfill the needs of today’s policyholders, to attract new customers, retain former policyholders and to build a strong brand for themselves. Being the most dominant entity of all technologies, the use of mobile applications not only reduces risk but also increases productivity and enhances customer experience. To achieve superior performance in the industry, companies need to have apps for calculating premiums, fill in customer’s forms easily, to access records and policies in real-time, review insurance claims and secure sensitive client documents. With the introduction of mobile apps, clients can now get timely updates on their policy and other offers of the company, and can also file a claim right on the spot via their mobile devices with the relevant apps at a faster pace. 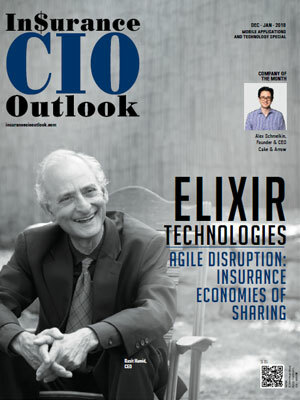 To help CIOs, CTOs and CMOs find the right insurance mobile applications and services, a distinguished selection panel comprising of CEOs, CIOs, VCs, industry analysts, and our magazine’s editorial board has selected a list of mobile technology solution providers that exhibit innovative technologies and strategies. We have considered the vendor’s ability in building solutions and services that can effectively yet economically account for a productive insurance analytics solutions offering, keeping in mind the factor of time-focused delivery. We present you Insurance CIO Outlook’s "Top 10 Mobile Applications and Technology Solution Providers - 2017."